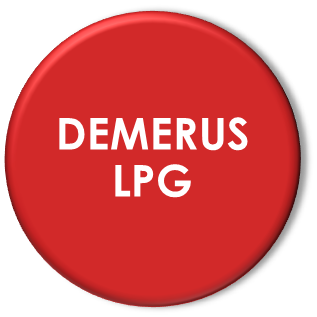 DEMERUS LPG is used for mercaptans removal from liquefied petroleum gases. 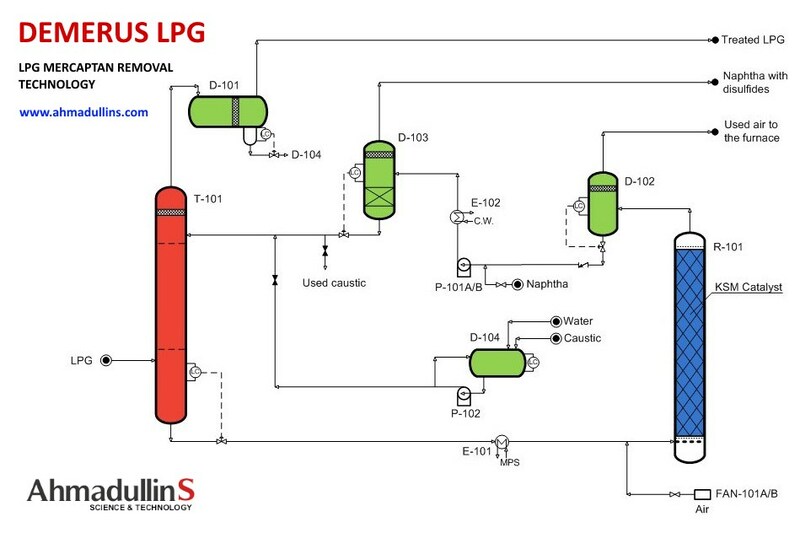 Alkaline extraction of mercaptans contained in LPG, with the following regeneration of alkali in the presence of heterogeneous KSM-X catalyst. 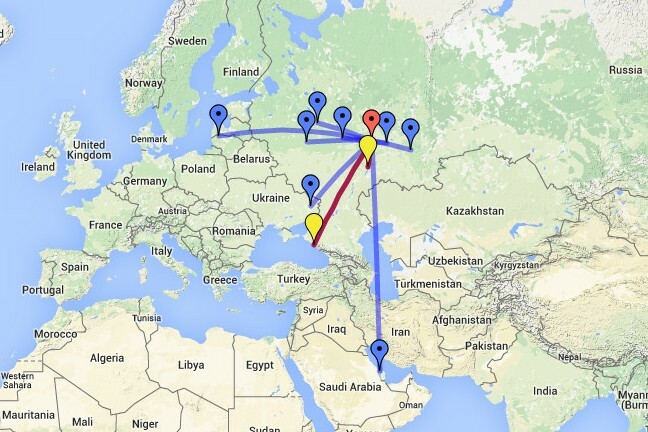 Concentration of mercaptans in LPG may be up to 0.400 wt%. After removing the residual mercaptan sulfur does not exceed 0.0005 wt%. Moreover, the total sulfur content is less than 0.0010 wt%. LPG is fed to the bottom of tray column extractor T-101 filled with alkaline solution. 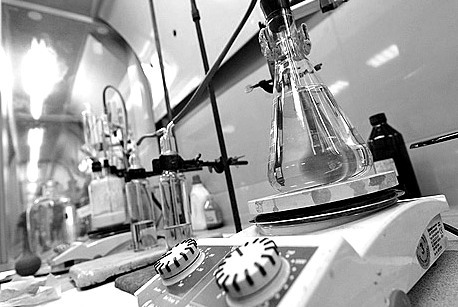 Regenerated NaOH solution is also supplied from tank D‑103 to the top of T-101. The mixture of exhaust air, regenerated alkaline solution and formed disulfides and alkylthiosulphonates from the top of R-101 is fed to separator D-102. Air is removed from the top of D-102 through an entrainment separator and directed to the furnace for combustion. Disulfides and alkylthiosulphonates dissolved in regenerated alkaline solution is removed from the bottom of D-102, mixed with naphtha by pump P-101A/B, cooled down to 40°C in cooler E-102 and fed to disulfides separator D-103. Naphtha with dissolved disulfides is removed from the top of D-103, and mixed with feed of any of the units: FCC, distillation or hydrotreating unit. Regenerated alkaline solution from the bottom of D-103 is returned to T-101 to remove mercaptan compounds from LPG. Alkaline solution operation term extended up to 1 year without replacement. This significantly reduces consumption of alkali and amount of alkaline wastes. 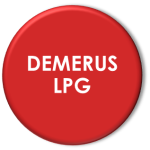 KSM-X catalyst used in DEMERUS LPG process provides strong retention of catalytically active components, improved resistance to catalyst poisons and thermal stresses, stable activity during the whole commercial operation term. 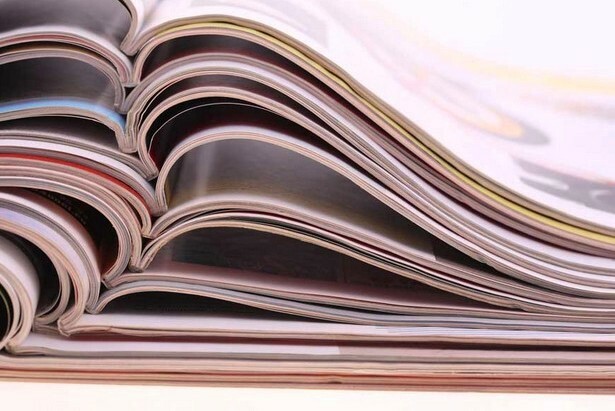 No need for its periodical or continuous feed with expensive variable valence metal compounds. It prevents cobalt phthalocyanines and derivatives, as well as salts of other heavy metals getting into wastewater. Guaranteed lifetime of the catalyst is 8 years.